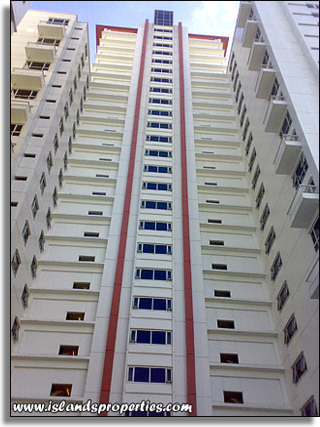 Unit 19E, Block 1, The Columns is fully furnished to expat standards in East Meet West Filipino style interiors. Great rental property for bachelor expat who wants a base in central Makati close to all the bars, restaurants, offices, and shopping malls. Lush greeneries and amenities at the 7,000-sqm-recreation deck. Great property investment sale comes with a 1+1 rental contract at PHP 30,000 per month and a Return On Investment (ROI) yield of around 7 percent per annum (PA).